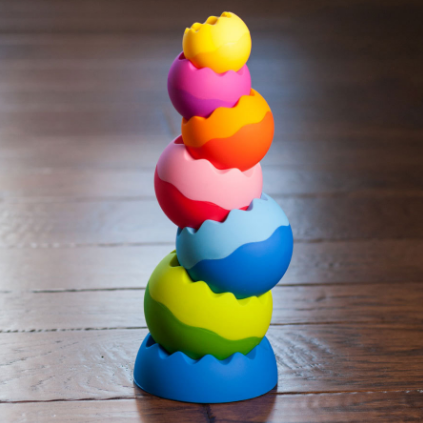 Over the past four months, we've been sampling the STEM Nest and Little STEMies activity kits. I've been so impressed with the variety of activities. and learning opportunities in which they have provided. 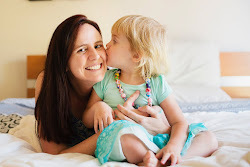 This month, Karlie, the owner of STEM Nest (also from Adelaide) has expanded her online store range to include some fantastic educational products, toys and resources to encourage STEM thinking. This is a sponsored post as part of my Brand Ambassadorship with STEM Nest. Here's just a few of my favourites...(well my top 5 actually) but there are many more on the site! Firstly are the Neoformers magnetic shapes. You may have seen similar products to this one around (but this one is much more affordable) and it's such a great construction toy. 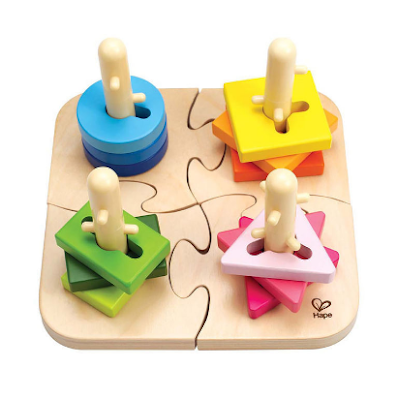 The shapes cleverly attach together with magnets making structures more stable. 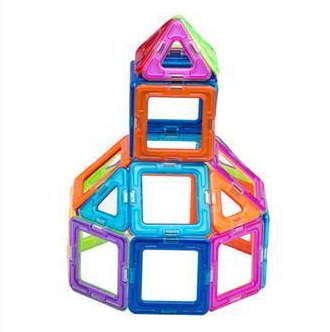 This set comes with triangles and squares which allows for many possible structures and shapes. Learning about magnets is more certainly a part of science, however this toy pretty much ticks all of the STEM boxes. 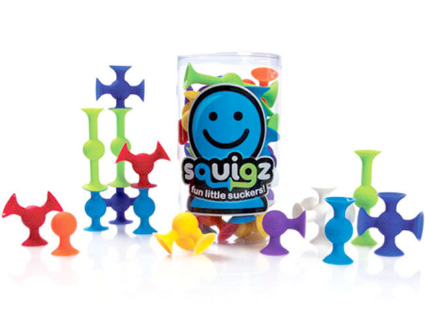 A while ago we borrowed some Squigz from our local toy library as I had never seen them before (and I was curious to see how they worked), and I soon learnt that they are such a cool construction toy! The little pieces kind of 'suction' together and they're really bendy and flexible allowing for some really interesting structures to be built! This toy is perfect for the E in STEM. A great tactile and sensory play experience. We have a set of Tobbles similar to this one and until you actually have a play with them yourself it's hard to imagine what they can do. Each sphere is weighted to allow to some gravity defying structures as well as spinning, balancing and rolling. A fantastic introduction to physics! Who remembers spirograph? 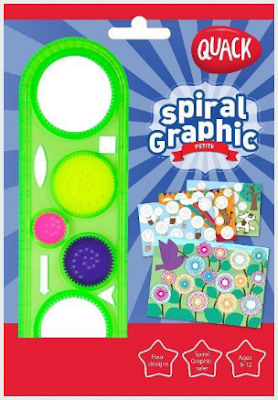 I absolutely loved creating spirograph art when I was a kid! This is a brilliant resource to bring some art into STEM (= STEAM!) for kids who are more artistic and scientific. I think parents will enjoying playing with this one as much as the kids will. So Karlie has kindly offered a discount for Teacher Types readers and followers - if you'd like to purchase anything from her site include these toys, resources or the activity kits, enter TEACHERTYPES_NOV2017 for a 5% discount. If you have a few items on your Christmas shopping list, Karlie offers free shipping for orders over $85. Now you may have seen on Instagram that I shared one of this months activities from the STEM Nest kits, and I'll be back later in the week to update you some more!